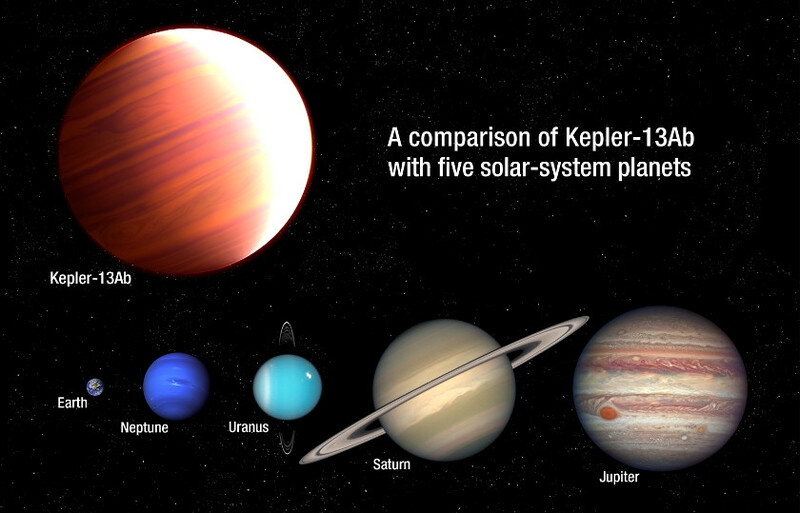 Scientists now believe that it snows sunscreen in most hot Jupiter-sized exoplanets. Anyone who can conjure up a way to collect resources from Kepler-13Ab in the far future could become a sunscreen magnate. On the heavenly body, one of the hottest Jupiter-sized exoplanets the mission has ever discovered, titanium oxide falls from the skies. The planet is so close to its host star that, like our moon, one side permanently faces Kepler-13A while the other is permanently in darkness. This titanium oxide "snowfall" takes place on the dark side, because winds tend to carry it to colder areas. On the dark side, the mineral that's closely related to the active ingredient in physical sunscreens condenses into crystalline flakes and forms clouds. Those clouds don't stay clouds for long, though: since Kepler-13Ab's gravity is six times more intense than Jupiter's, it's strong enough to pull the mineral out of the upper atmosphere. The team led by Thomas Beatty from Pennsylvania State University chose to study Kepler-13Ab, since its 5,000-degree-Fahrenheit daytime temps make it easier to observe than colder hot Jupiters. They used Hubble Space Telescope's Wide Field Camera 3 to get a closer look at Kepler-13Ab's atmosphere in near-infrared and found that it's colder in the planet's regions with higher altitudes. That's pretty unusual, as it's typically hotter in the higher regions of hot Jupiters. Titanium oxide lurks in their atmospheres in gaseous form, you see, absorbing light and radiating it as heat. The colder temps provided the team the clue they needed to confirm that it rains sunscreen in extremely hot massive planets with incredibly strong surface gravity. Now, the scientists believe that this kind of precipitation actually occurs in most hot Jupiters -- most just don't have gravity that can compare to Kepler-13Ab's, so their "sunscreen snow" doesn't fall far enough and quickly turns back into gas.